Sunda (HK) International Industrial Co.,Ltd. 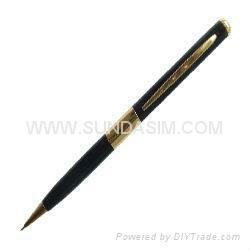 This super fine pen is a high-definition video recorder with Micro SD. With simple operation, elegant design, small size, it is easy to carry. It is an essential utility in business, education, security, media, justice, tourism, health care, living and other field.